Which role of Barun do u like more? Which name of Barun u like most in Iss Pyaar ko kya naam doon? Who is Barun's favourit actress? Who is the most matching Co-Star to Barun? Barun Sobti, the populair face of ‘Baat Hamari Pakki Hai’ aired on Sony Entertainment televisie tied the knot to the love of his life in a very private ceremony held on the 12th of December 2010. According to reports in the media, only close vrienden and family members of Barun Sobti were present in the wedding ceremony. When quizzed door the media on his changing status so suddenly, Barun Sobti reveals that he is now a very happy man as he is now married to the love of his life. However, the televisie actor did not reveal the name of his bride citing reasons of conservatism! Barun Sobti is not a new name to us. We all very well know him as Shravan of Baat Hamari Pakki Hai. In that toon he made many fans especially the girls. And now he is back with a bang as Arnav Singh Raizada of Is Pyar Ko Kya Naam Doon. And in this serial too, his character Arnav is getting popular. Telly heartthrob Barun Sobti took an unusual trek to the small screen. 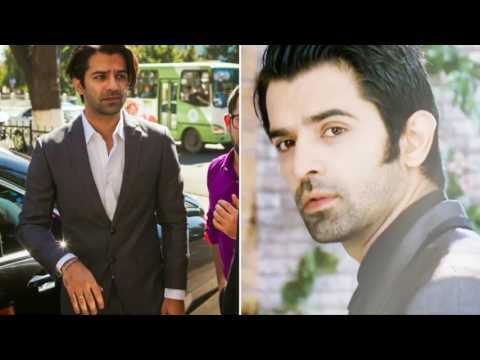 Who is Barun's wife in Real life?